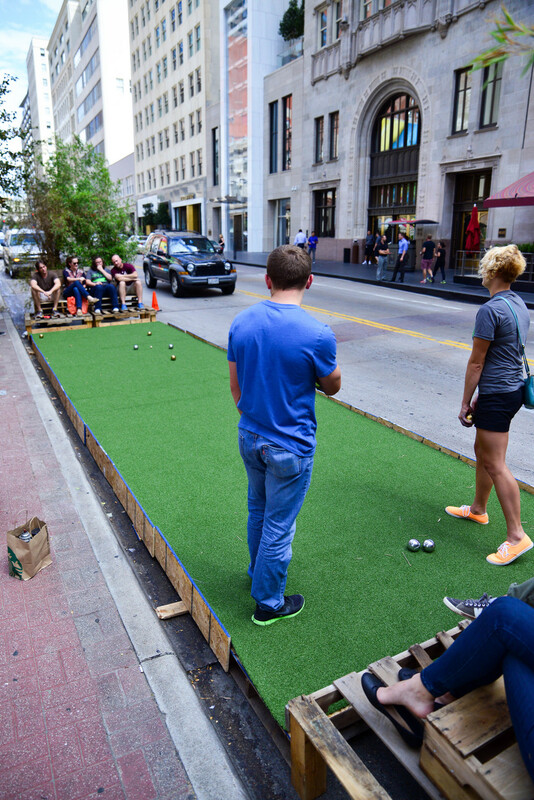 Then someone said "ya know, people like fun stuff..." Someone else replied "then how about a bocce court?" Discussion over. We used recycled pallets (donated from Living Earth and Southern Botanical), some plywood and lots of screws to construct the skeleton. We added some artificial turf (donated by Synthetic Grass Pros) for the playing surface, some bamboo for shade (donated by Southern Botanical), and it was finished! 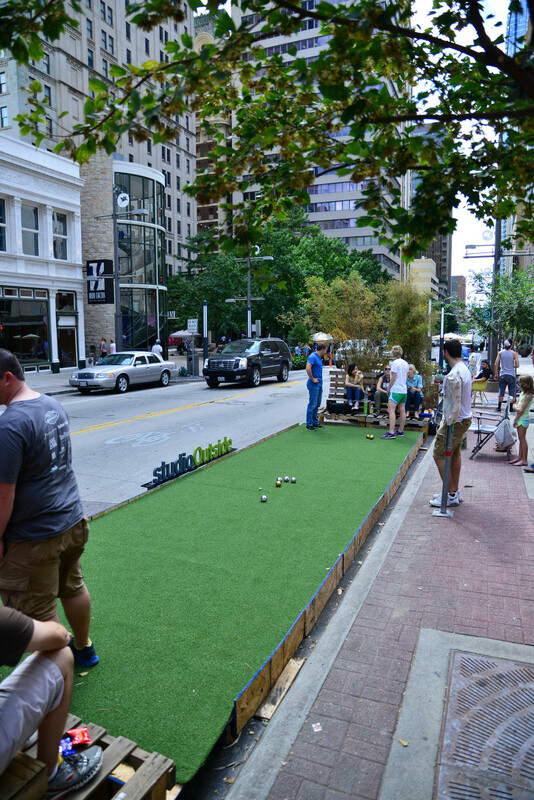 We had an awesome day hanging out downtown, meeting new people, seeing old friends and playing bocce. Many, many thanks to the people and businesses that helped us pull this off! 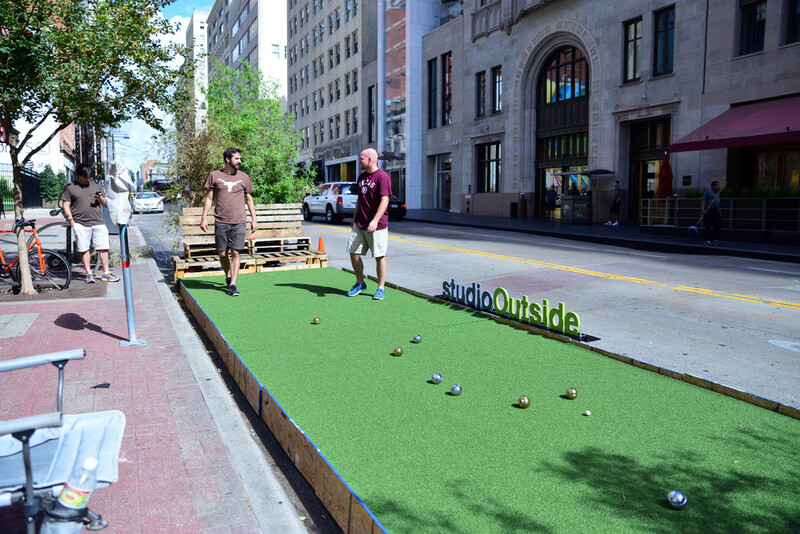 Our bocce court could be making an encore appearance at the State Fair, so check back soon!